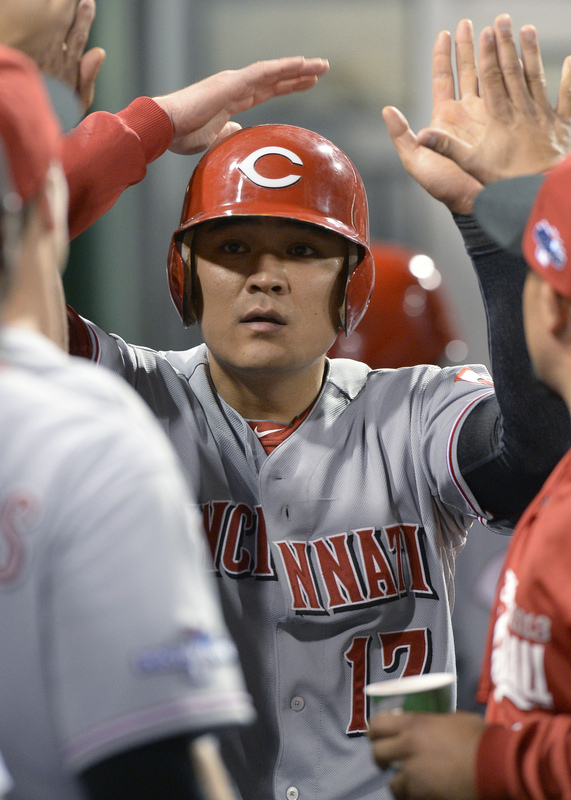 Shin-Soo Choo of the Cincinnati Reds became the first Korean player in history to hit a home run in the Major League Baseball postseason, but it wasn’t nearly enough to extend his first-ever trip to the playoffs. The left-handed Choo, 31, hit the historic home run in the 8th inning of Tuesday night’s game in Pittsburgh’s PNC Park, against left-hander reliever Tony Watson. But, the score was 6-1 in favor of the Pirates at the time, and his postseason ended after just one game. The Reds fell 6-2, as the Pirates celebrated their first postseason win in 21 years. 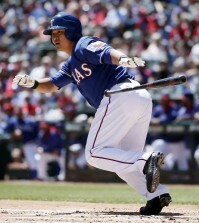 Choo also became the first Korean to start, strikeout, and record a R.B.I. (Run Batted In) during MLB postseason play in this game. Entering the game, only Byung-Hyun Kim and Hee-Seop Choi had batted, once each, in the playoffs. Hyun-Jin Ryu, scheduled to start Game 3 for the Los Angeles Dodgers on Sunday, will be the 5th Korean to play during the MLB postseason. wow!!! good job!! choo! 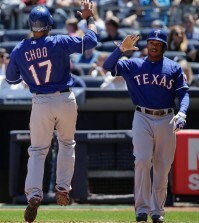 choo! It’s awesome. 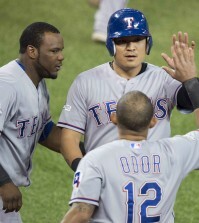 Post season home run is BIG thing!! Wow, it’s awesome ! gooooooooooooooo choooooooooooooooo !! What a first homerun as Korean player on playoff!! I hope the world series… Dodgers vs Reds!!!! Ahaa, its nice conversation about this article here at this webpage, I have read all that, so now me also commenting at this place. Heya now i am the very first time in this article. I found that plank and I realize its truly helpful & that taught me to be away a great deal. I hope to deliver something once again as well as help others just like you forced me to be. Hi there, I found your web site via Google at the same time as looking for a similar subject, your web site got here up, it looks good. I have bookmarked to favourites|added to bookmarks. Agent X had gotten to us on a personal amount. She experienced the X factor: The potential to get folks caught up. I am happy to discover your distinguished way of writing the put up. Now you make it effortless for me to realize and apply the concept. I favor your valuable info you actually present for your content articles. We’ll bookmark your web site plus examination all over again the following typically. Now i am quite specific I’ll study a great deal of fresh material the following! Good luck for the next! blogging. You have touched some nice points here. Any way keep up wrinting.. The data mentioned within the article are a number of the best out there. Saved as a favorite, I love your site!.